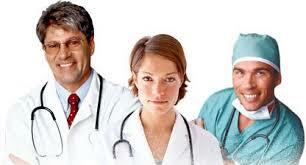 Many people naturally assume that physicians work in a traditional medical specialty. In other words, if you're a surgeon, then you probably perform surgery. Even CNN's Dr. Sanjay Gupta performs occasional neurosurgery. However, he is probably better recognized as the chief medical correspondent for the health and medical unit at CNN. If you're a physician and you're interested in switching a non-clinical career, you may be wondering whether you should stay in the healthcare industry or whether you should transition into something entirely different. Some of the skills that we learn and develop during our medical careers may translate into the business world, but many of them may not. Therefore, it's important to be realistic about expectations and goals. Physicians naturally are teachers. We are expected to teach medical students during residency. You may not necessarily enjoy teaching, but you're probably talented. Physicians are problem solvers. We are expected to evaluate problems and find solutions for them. Physicians are able to handle large volumes of responsibility. The human life is sacred and we are given a tremendous amount of responsibility over life. Physicians are highly motivated. You can't go through medical school and residency without having a high degree of motivation. However, if you're experiencing burnout or career frustration, then you may be losing motivation. So if we evaluate all these characteristics, we see that certain things are quite common among most physicians. So what's the "best" non-clinical healthcare job for physicians who wish to leave the clinical world of medicine? I find that the answer really depends on the characteristics that make each physician unique. Some physicians really like to manage people. Others want independence. Some really like administrative challenges. Others hate administrative duties. Some may be good at teaching, but they may not really enjoy it. Others love to teach. Some love to solve scientific and clinical problems. Others like to keep things simple. Some love the challenges associated with research. Others have no experience in conducting research. Some really enjoy writing. Others are very poor writers. Some love to spend time with people. Others like to be alone. Some love gadgets and technology. Others don't have a computer at home. This list could go on forever. The point I wish to make is that non-clinical healthcare jobs may involve multiple elements listed above. As a physician, you have to evaluate your strengths, skills, and talents to see where you would fit. What would motivate you? What do you think you would enjoy? If you've worked in the clinical setting for many years, you may have never stopped to ask those types of questions. If you're thinking about a career change, it's critical to evaluate these factors before making any decisions.